Your photo is a great way for people to meet and recognize you in person. 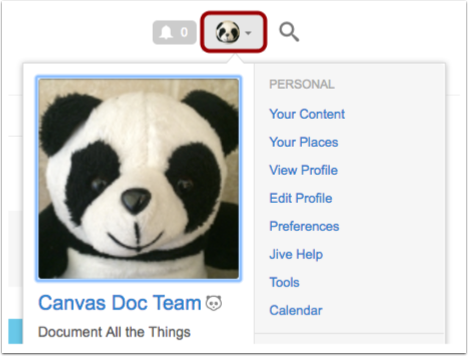 Your avatar helps community members quickly associate your comments and status updates with a simple visual cue. It is not uncommon for people to use their profile photo as their avatar photo, as well. Note: Community Team reserves the right to remove photos or avatar images that are not appropriate. To add a photo, click the photo you want to use or click the add your own image link. You are are limited to 10 different profile photos. To choose a photo from your computer, click the Choose File button . Then click the Upload and Continue button . 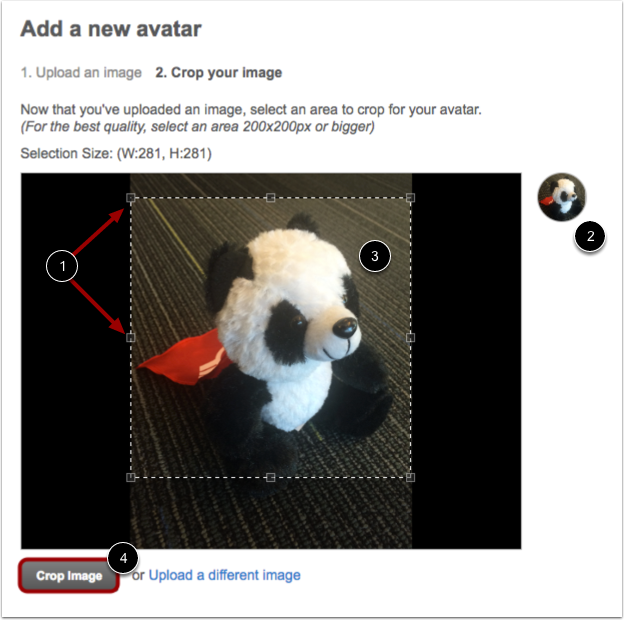 To crop your photo, drag the handles to select the portion of the photo you want to show in your profile . You can preview the photo  and drag the box to position your selection . Click the Crop Image button to continue . If you are not satisfied with the preview, you can upload a different photo. If you are happy with your photo, click the Finished button. 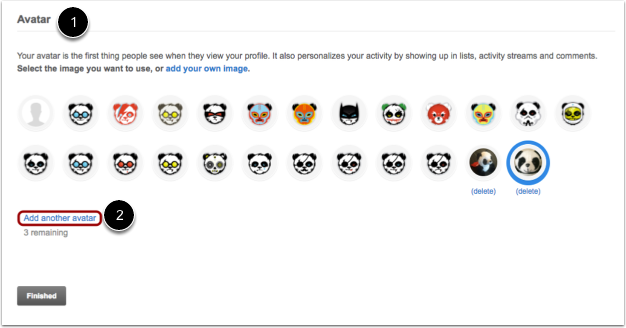 You may be prompted to create a new avatar from your profile photo. If you want these to remain different, please see below. Scroll down to the Avatar section  and click the Add another avatar link . Follow the steps to upload, crop, review, and finish. 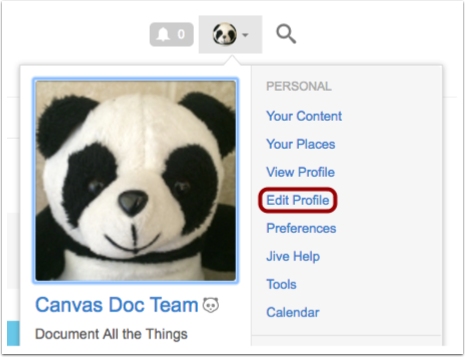 Previous Topic:How do I update my Canvas Community profile? Next Topic:How do I manage my privacy settings in the Canvas Community? 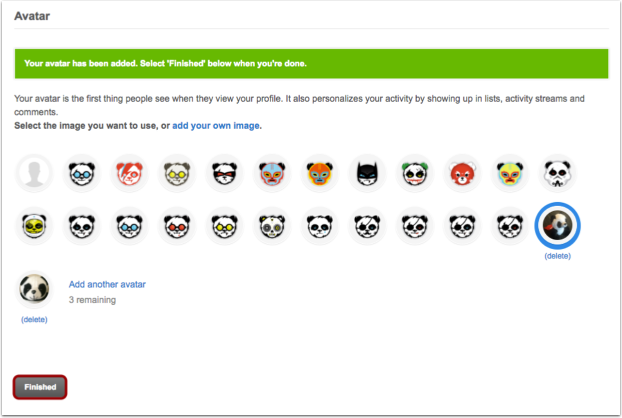 Table of Contents > User Account & Profile > How do I upload a photo or change my avatar in my Canvas Community profile?